Thinking about starting an exercise class at your local gym? Great news! Take the first step and learn what works best for you. I ran into a good friend of mine at the store last week. We chatted for a while about her change of hairstyle (spectacular! ), an upcoming vacation she was planning, and her new grandson. What she said next surprised me. She went on to explain the instructor expected everyone in the class to perform all the exercises and routines. With about fifty people in the room, there were extreme variations in physical condition, flexibility, and previous experience, allowing some to perform better than others. The result? A huge difference in individual need—and progress. Her story isn’t unusual. Granted, the instructor had to begin somewhere. In any type of group instruction, there must be a few assumptions made about setting the starting point for the level of difficulty and amount of exertion. But in this case, my friend found herself becoming self-conscious whenever she couldn’t fully execute the movement or routine. Fortunately, she didn’t quit the gym completely. She asked another fitness instructor to show her how to use specific machines, determine the correct form and posture for a few core exercises, and for tips on how to address the specific issues at the top of her list. Now she had a self-designed program which allowed her to work on the parts of her body that were most important to her. And that’s why she joined the gym. Now her workout made sense to her—because it answered the number one question anyone considering buying a gym membership should ask themselves: Why am I joining the gym? While there’s always the obvious answer, “I want to get into shape,” usually there’s something much more specific, more personal that motivates us. Each of us have specific issues we want to change— to drop a few pounds, or tighten our butts, or lose the “wings” from under our arms. And that priority should come first! I realize this flies directly in the face of conventional exercise wisdom that preaches a full-body workout including posture and form, technique, flexibility, and strength. And yes, the “magic four” are ideal, and should be part of everyone’s long-term workout goals. But there’s a reason to focus on one or two most important issues—at first. Because they’re a personal priority. The desire to change specific, particular aspects of your body is what motivated you to buy a gym membership in the first place. And if you keep those goals in front of you, they will continue to bring you back to the gym. Concentrating on those personal priorities will produce results. You’ll begin to see a difference, and soon realize the time and money you’re spending is paying off. I complimented my friend on realizing her true goals and being persistent in making the gym work her her—rather than the other way around. All too often, I hear folks complaining about how they started working out, and then gave up because they lost the motivation or inspiration to learn what works best for them. After taking a few classes, doing a round of light weights, and walking a mile or two on the treadmill, they go home, experience aching muscles and deflated expectations, and decide getting in shape just isn’t worth it. So consider this: Start right where you are and work on the specific issues you want to improve. If you find a class or routine that works “right out of the box,” great! If not, ask for some help from an instructor, explaining what you want to accomplish over the next few months. Then get going! 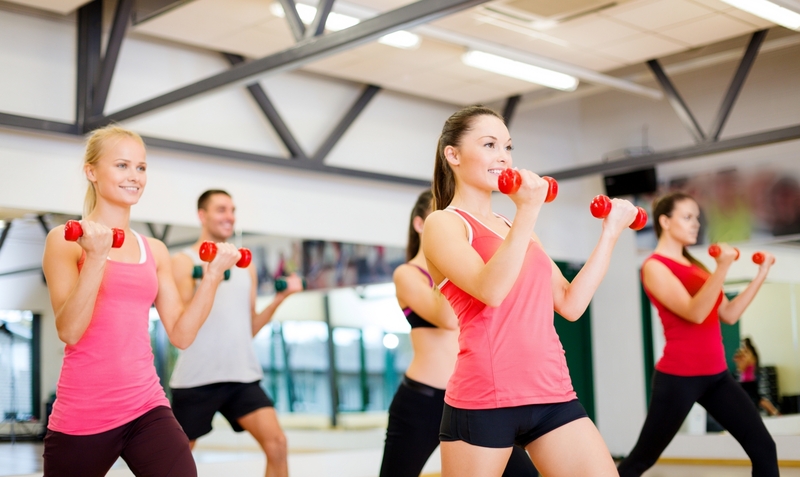 My husband says “showing up” is the biggest challenge in using our gym membership. I’ll be the first to admit there are days when neither of us want to spend the time pushing weights or doing planks. But we show up. And then we start. And we’ve never regretted it, or looked back and wished we had used the time differently, or taken the day off. The choice is yours. You can rationalize about how tired you are or how much work is waiting for you at home. Or you can ditch the excuses, grab your gym bag, and show up. Then decide how important it is to be there.